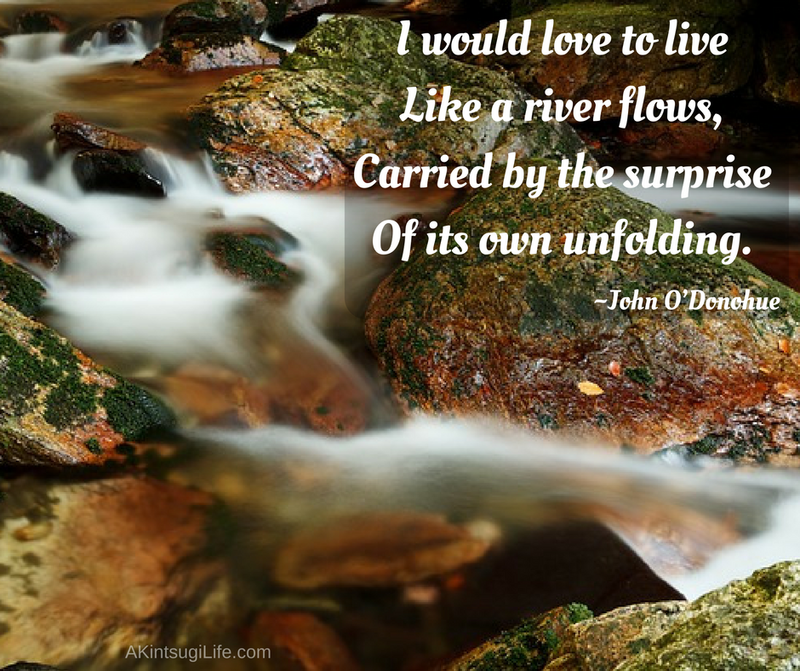 The truth is that I have as little control over the unfolding of my life as the river does over its flow. The difference between the river and I, though, is that I continually resist that truth. I try to make life adhere to my plans, resist following the natural terrain I encounter, and fight against obstacles instead of flowing around them. I long to be more like the river with its willingness to move along the path where it finds itself, flowing around obstacles without resistance in its march back to the sea, shaping the land with its ever-rushing flow without anger or fighting. Oh for the grace to similarly surrender to life as I find it instead of fighting what is!